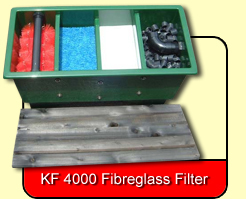 We offer a wide range of Fibreglass Filters for ponds upto 55,000 litres. 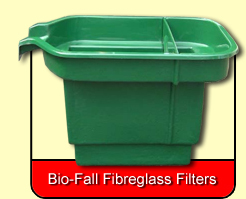 It has come to our attention that our fibreglass filters are being copied and reproduced at an inferior quality. 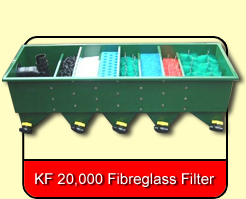 These filters are being made from whatever fibreglass material they can lay there hands on which does not meet our specification. 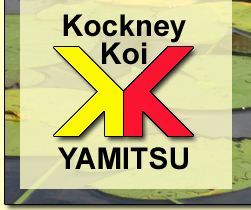 If you are worried about being offered a non genuine Kockney Koi filter, please contact us at website@kockneykoi.co.uk. 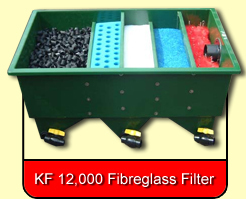 Full specifications for all fibreglass filters available. 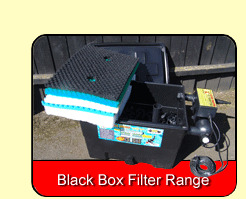 The Yamitsu Black Box range of filters are ideal for garden ponds up to 800 gallons (depending on stocking density). 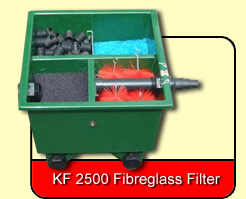 The KF2500 is an ideal unit for those who require a high quality, long lasting fibre glass filter. 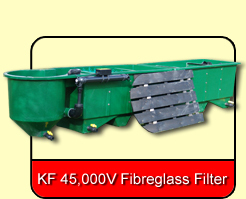 It's compact size makes it suitable for small pond installations where space is at a premium. 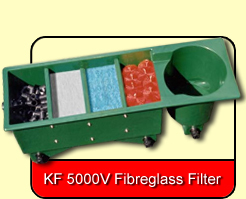 The KF8000 is available as pump fed (KF8000P) and gravity fed (KF8000G). 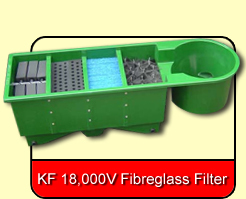 It is a high quality, free-standing, fibreglass, three bay, filter designed to improve your fish's environment. 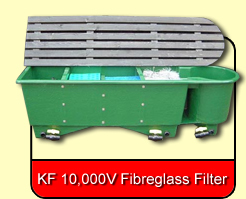 The KF 10,000V is a high quality, free-standing, fibreglass, four bay, filter with integral vortex designed to improve your fish's environment. 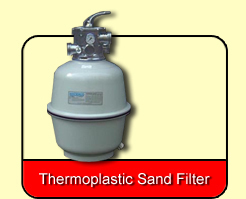 Its "state-of-the art" multi chamber ensures maximum filtration with the minimum of maintenance. The KF12000 is available as pump fed (KF12000P) and gravity fed (KF12000G). 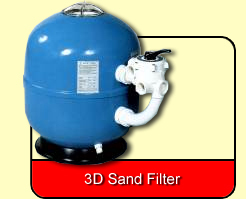 It is a high quality, free-standing, fibreglass, five bay, filter designed to improve your fish's environment. 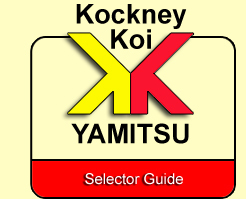 The KF 18,000V is a high quality, free-standing, fibreglass, four bay, filter with integral vortex designed to improve your fish's environment. 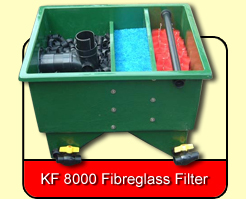 The KF20000 (shown above) is an eight chamber fibreglass design that can be used for gravity or pump fed by simply reversing the media. 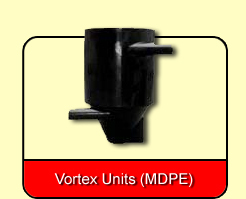 This system is ideal for 10,000 gallon Koi pond or 12,000 gallon Garden pond. It comes complete with all media and ball valves and can be pump or gravity fed. This system (as shown above) is suitable for 10,000 gallons. It is sold as separate modules each capable of handling up to 2,500 gallons. 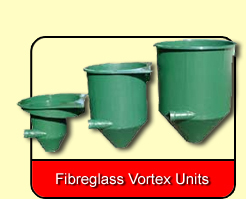 There is an optional twin feed vortex available (VF3T). 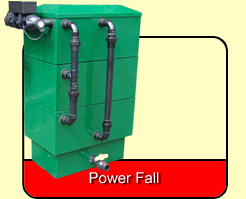 The Power Fall powered trickle filter will be available from mid July 2010. It will be available in several sizes. Biofalls are designed to be incorporated into rockeries and watercourses. The pond water is pumped into the top most biofall and cascades down through each lower unit in turn until falling back into the pond. 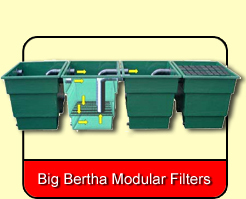 Its unique design with a circular settlment tank at the base, encourages heavy solids to settle out and not be carried up into the above filter system. 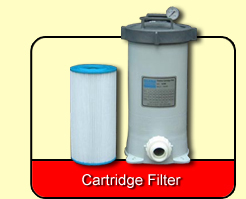 Compact and Versatile Filtration, our Cartridge Filters are designed to give years of trouble-free service. 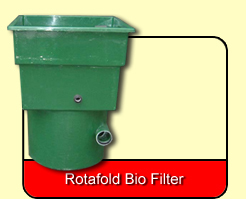 The Cartridge Filter utilises a specially treated polyester fabric, which is pleated into a cartridge.